The G40 faction in the Zanu PF Masvingo province has recommended the expulsion of Lacoste stalwarts from Zanu PF. Zanu PF acting Masvingo provincial chairperson Amasa Nhenjana said the province was recommending the expulsion of all 'rotten apples that keep on undermining the President'. "We have recommended to the higher authority the expulsion of Josaya Hungwe, Paul Mangwana, Ezra Chadzamira, Edmund Mhere, Clemence Makwarimba and Lovemore Matuke from the party. "These people have sown the seeds of division in the province and have undermined the authority of the President. We cannot let these people lead us anymore and we want them gone. "We want people who support the President as the one centre of power," said Nhenjana. Nhenjana said he was tired of people who want to paint Masvingo as a problem province when in fact it is a few rogue elements that need to be chucked out. "Masvingo is an independent province from the Midlands and we are not influenced in any way. The people in Midlands do things their way and we do ours our way. 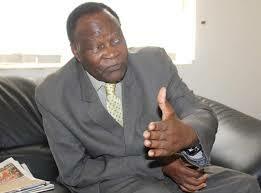 Masvingo stands by the President," said Nhenjana.